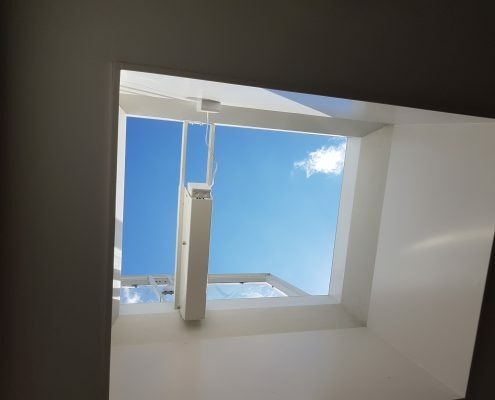 Natural daylight has long been recognised as the most effective form of light. 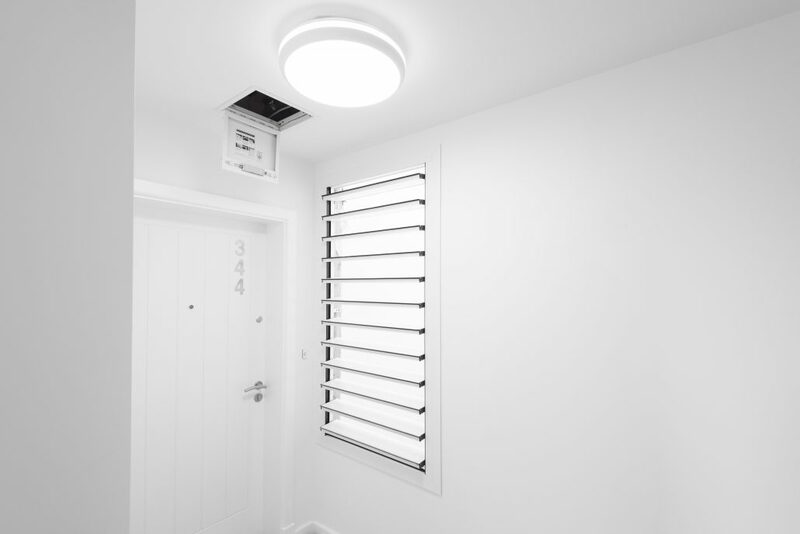 Building Regulation Approved Document L requires designers to provide adequate daylight. 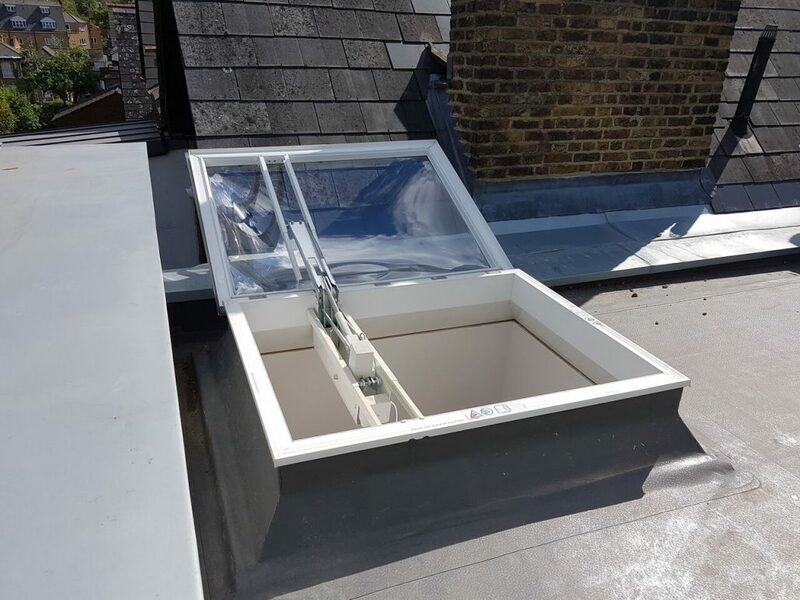 ‘…Where rooflight areas are reduced below 20%, the building designer must take special care to demonstrate daylight levels remain adequate…’. 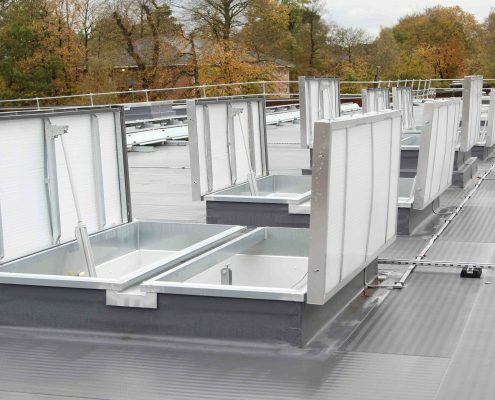 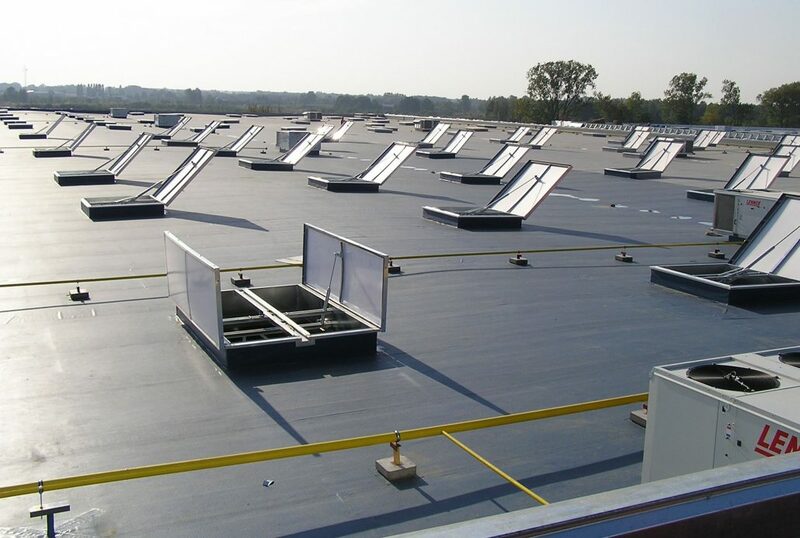 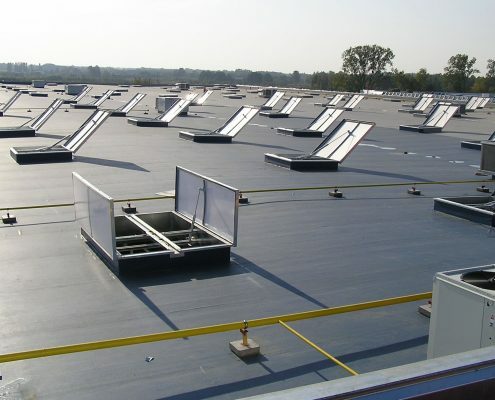 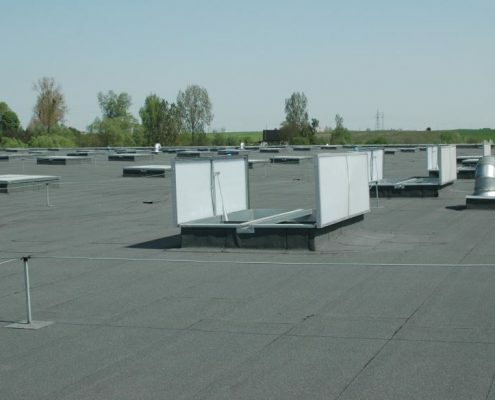 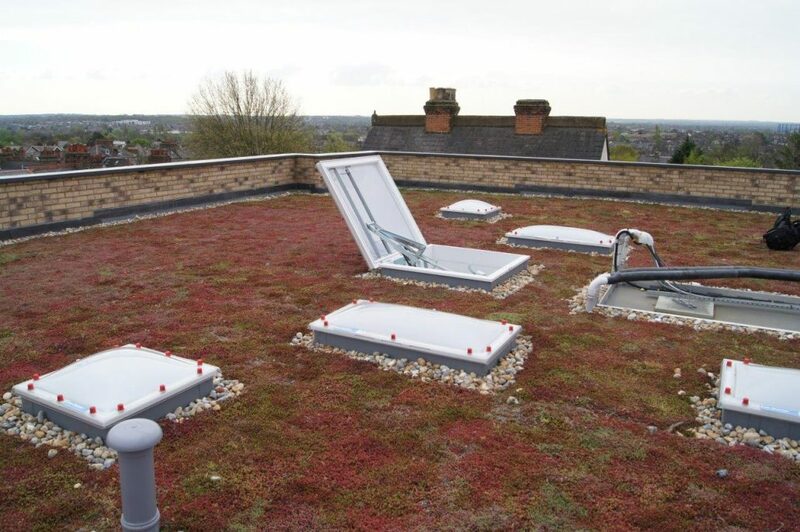 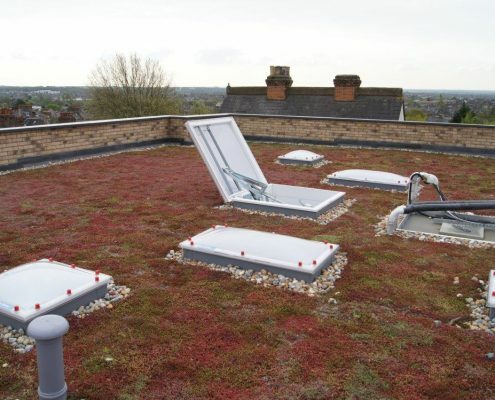 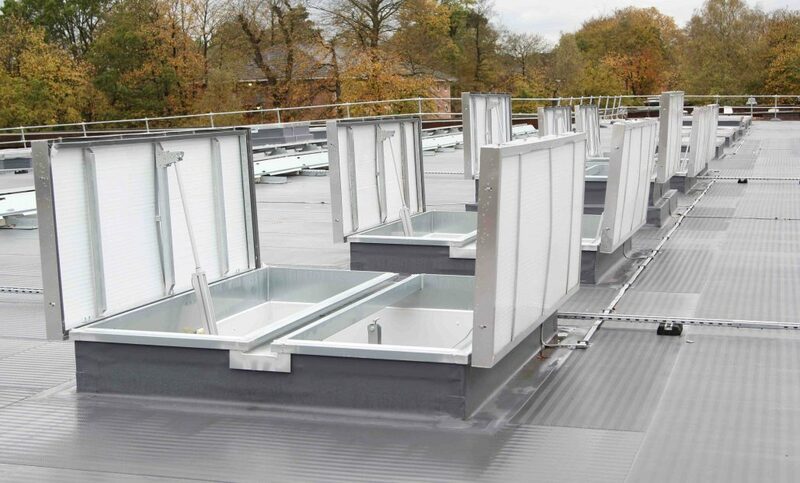 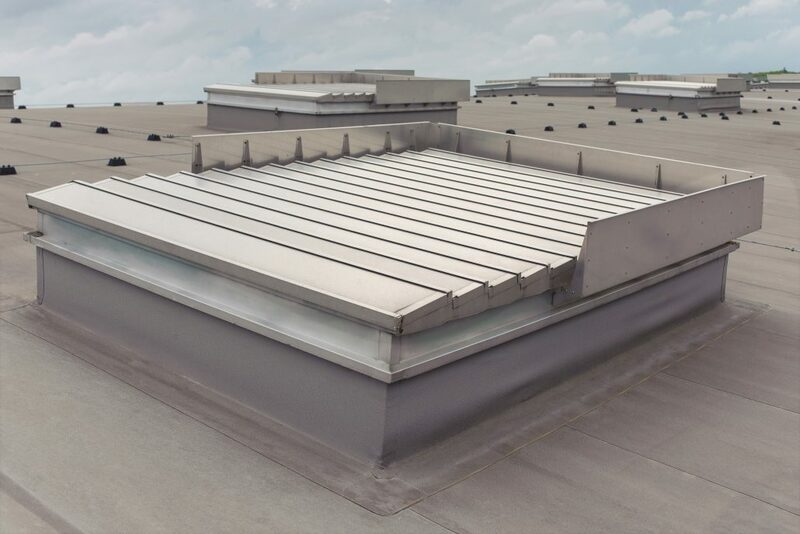 Flat roof smoke vents are the most efficient means of providing natural daylight, giving three times more daylight than an equally sized vertical window. 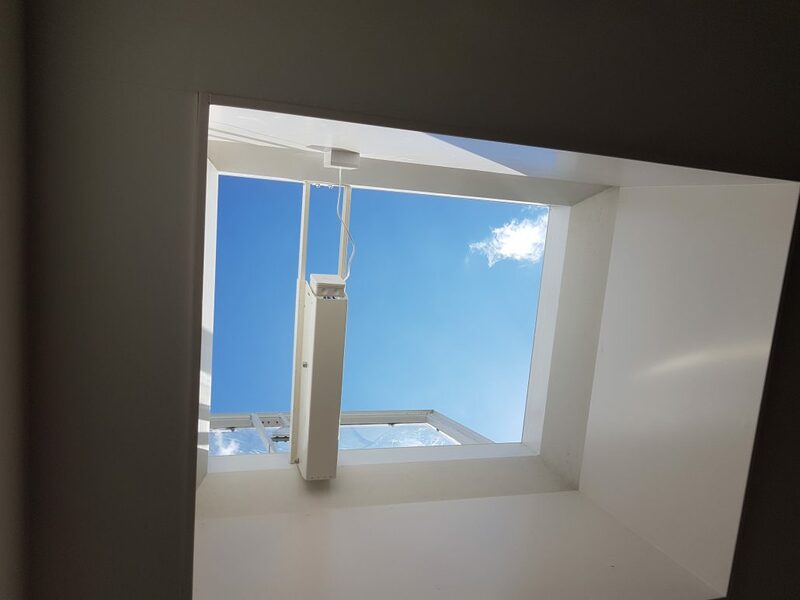 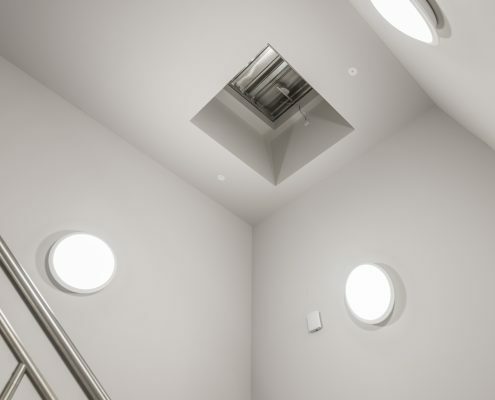 The light from a rooflight is also more evenly distributed throughout the room, less likely to result in glare and does not compromise privacy. 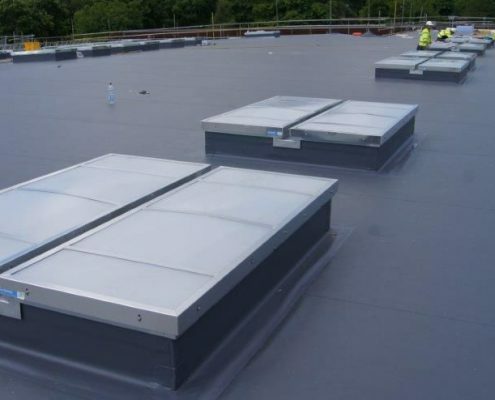 With many years’ experience in the industry, you can rest assured that our team only work with the highest quality products and brands. 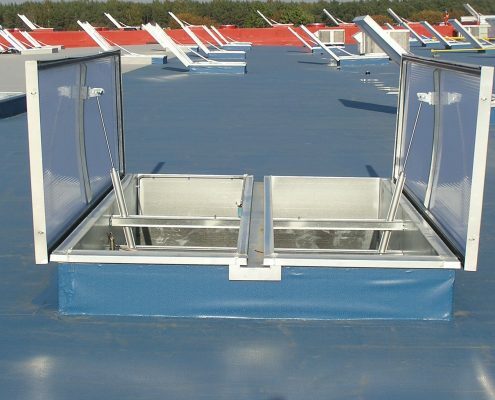 We always put our customers first and promise to provide you with the highest levels of customer service. 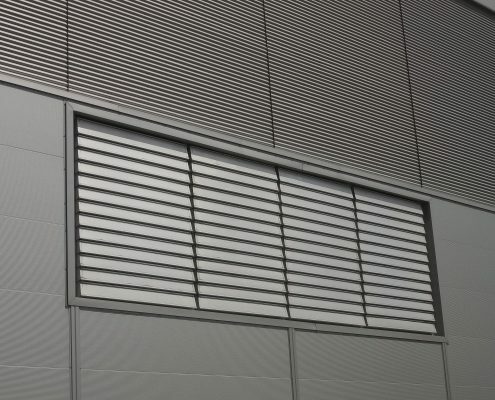 A large selection of materials, brands and design features to help you create the perfect smoke ventilation system. 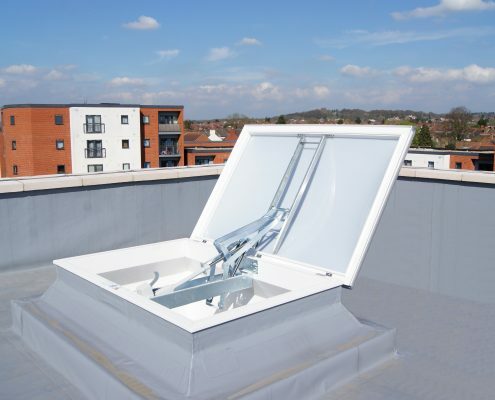 Find out how we can help you with a free quote from our friendly and experienced team. 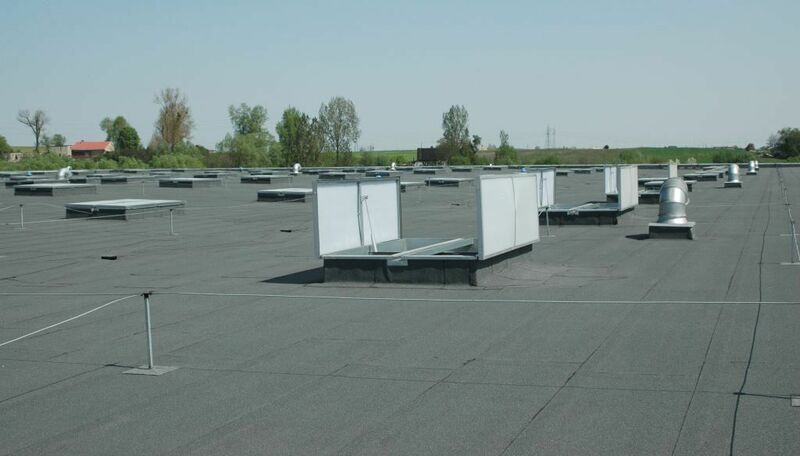 Our knowledgeable team can help you find exactly what you need – they are always on hand to offer assistance. 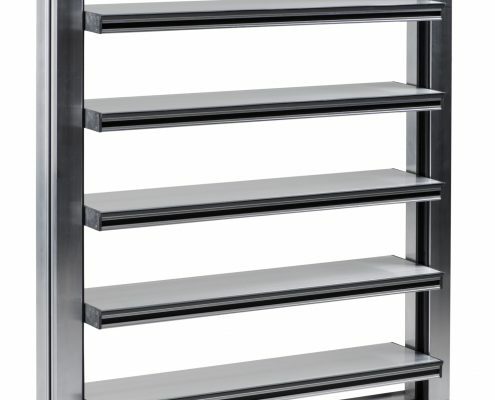 We offer free delivery nationwide throughout the UK for all our products. 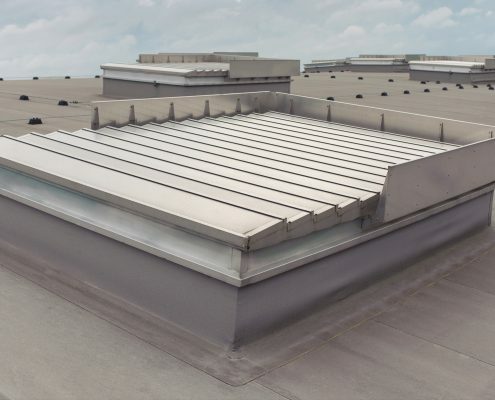 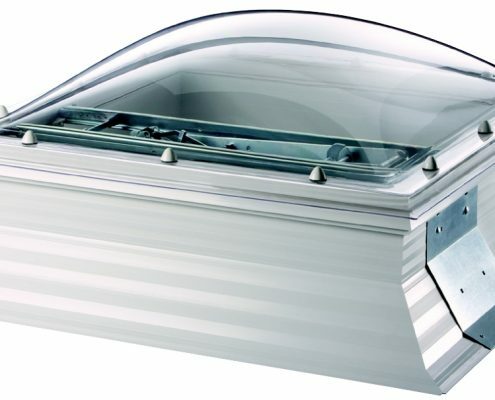 Thermadome single leaf smoke vents are ideal for domestic, commercial, leisure and retail, this high-performance flat roof smoke vent opens to 160° in less than 60 seconds for rapid smoke and heat dispersion. 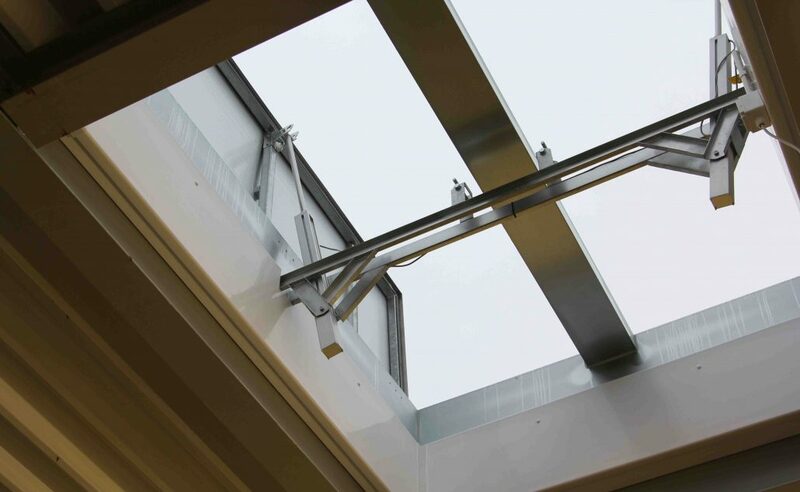 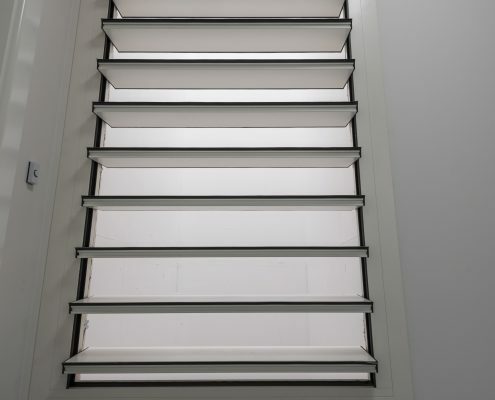 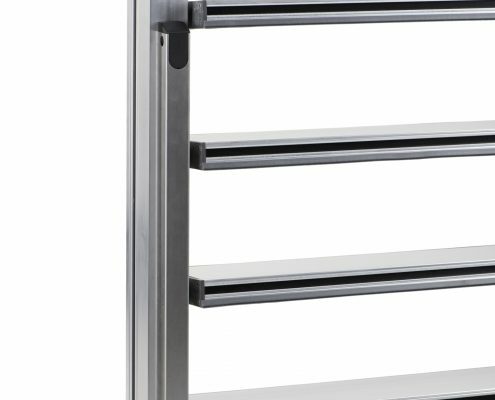 Also, suitable for providing natural ventilation and can be used for roof access and maintenance perfect for use in areas where light is required such stair wells, staircases, lobbies and corridors. 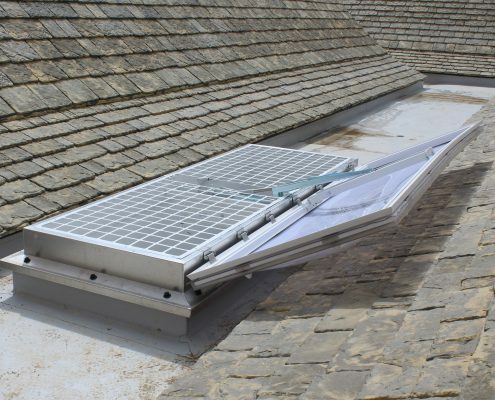 A typical Thermadome single leaf smoke ventilation system includes Therma-Vent smoke ventilators (AOVs) located at the highest point of an escape route staircase or at the top of a smoke shaft. Smoke detectors and manual control points are normally located on each floor. 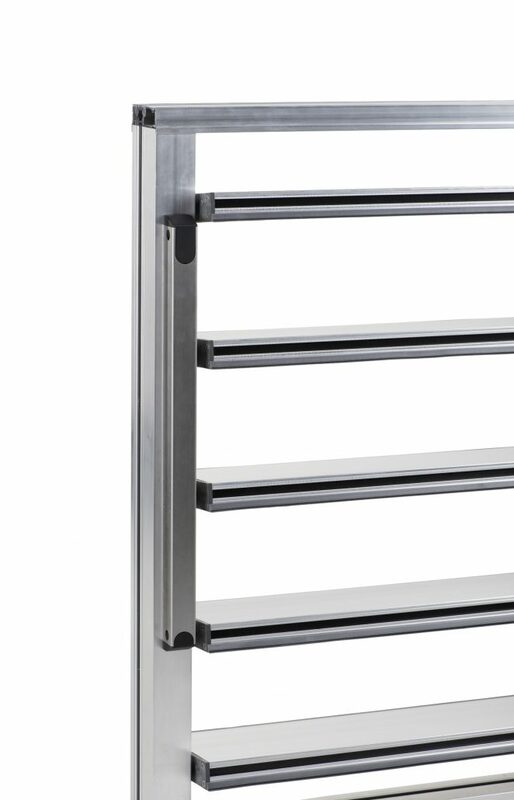 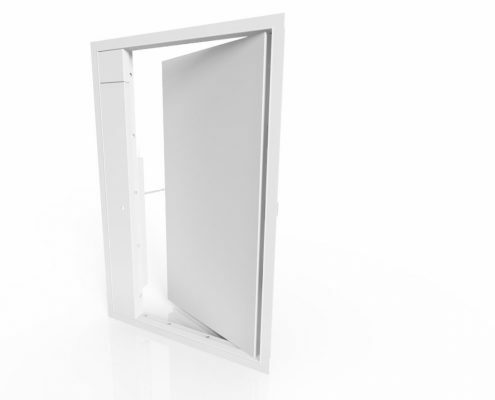 The system can be controlled by a Therma-Vent control panel. 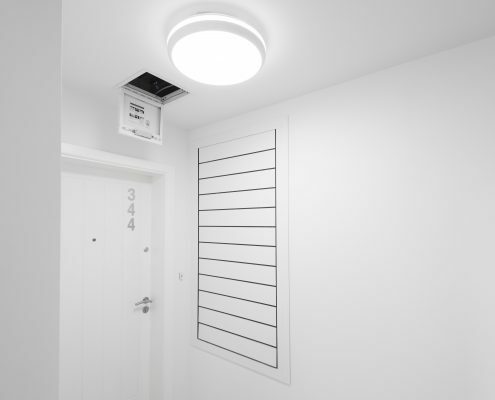 In the event of a fire the smoke detectors on the relevant floor instruct the control panel to operate the Therma-Vent AOV creating an upward air flow, venting smoke and toxic gases.The system can be designed to automatically open on receipt of a fire signal, or be controlled by the Therma-Vent control panel on instruction of the fire services. 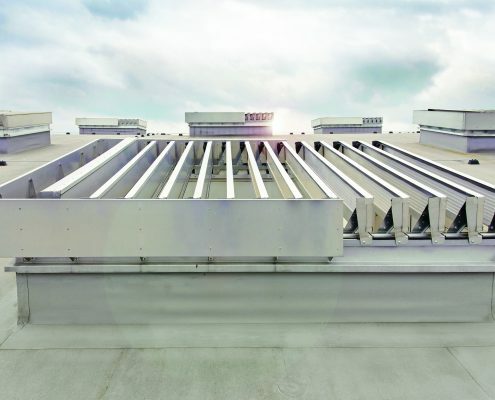 Alternatively, the Therma-Vent AOVs can be linked to the Building Management System (BMS) for complete monitoring. 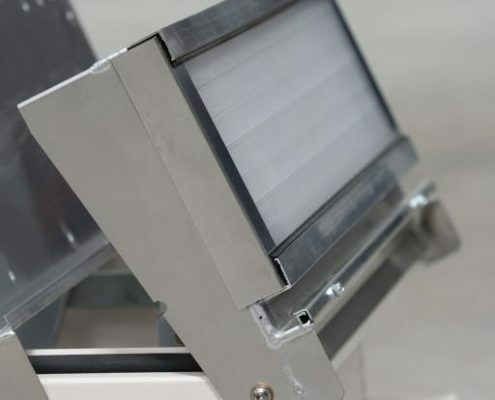 Thermadome double leaf smoke vents are designed specifically for industrial buildings, its integral 24V actuator automatically opens the double leaf to 90° in under 60 seconds for rapid smoke and heat release in stairwells, corridors and factory areas. 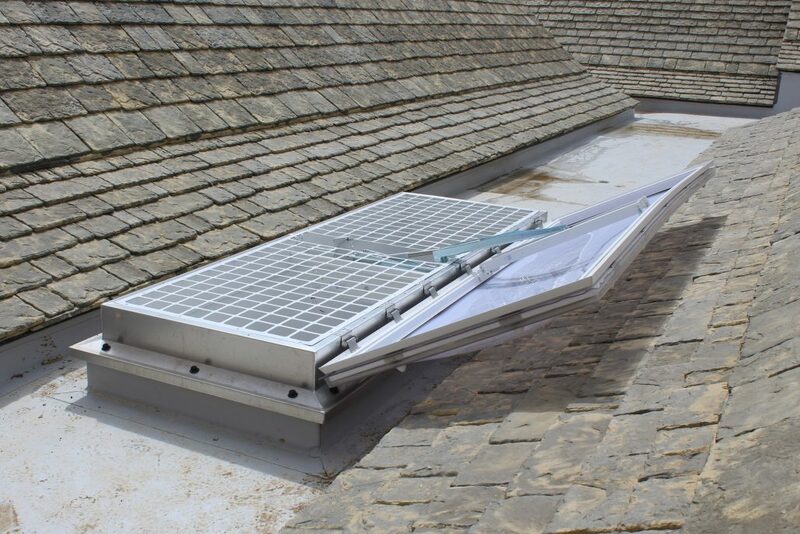 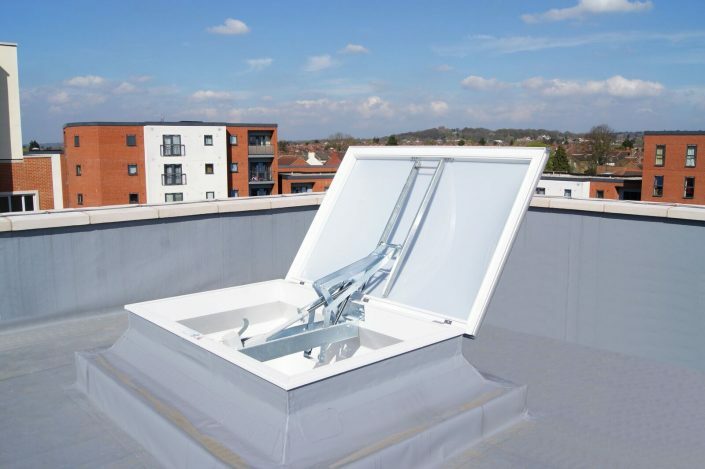 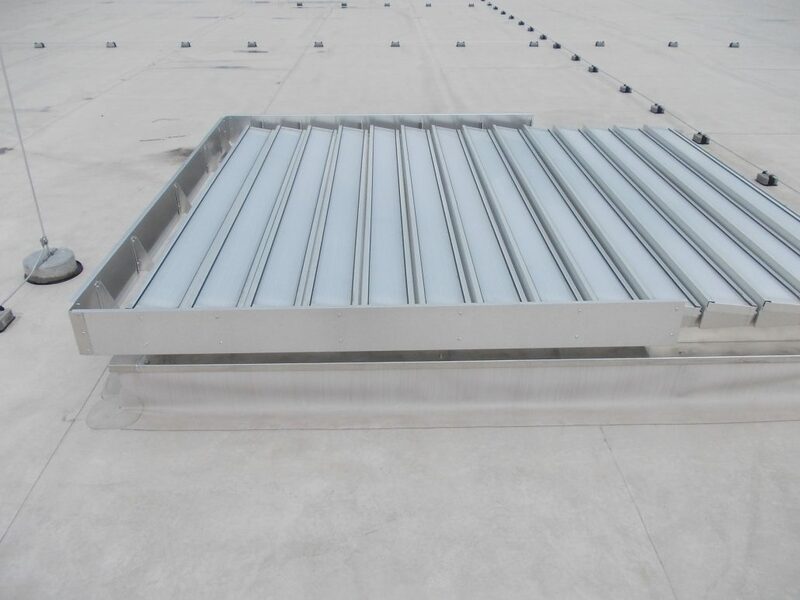 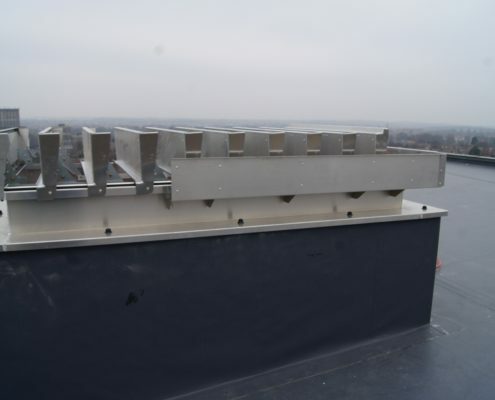 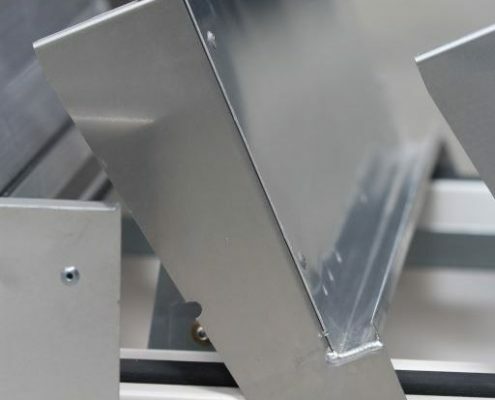 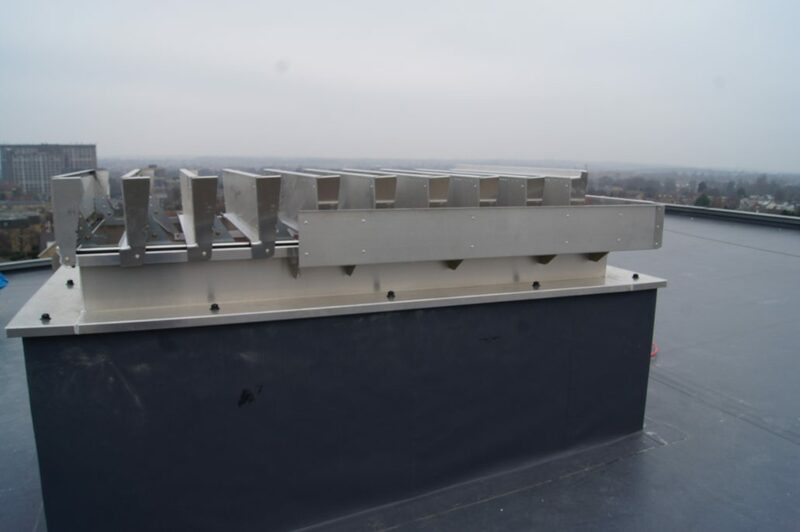 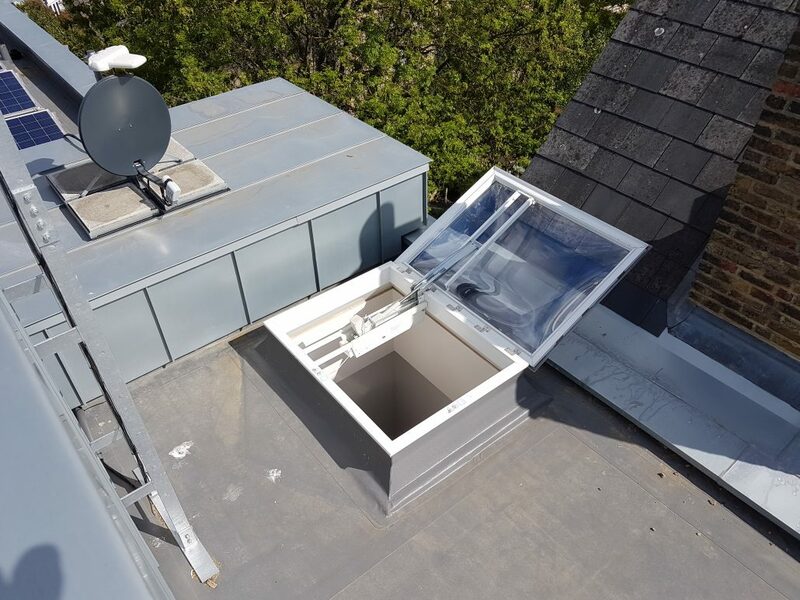 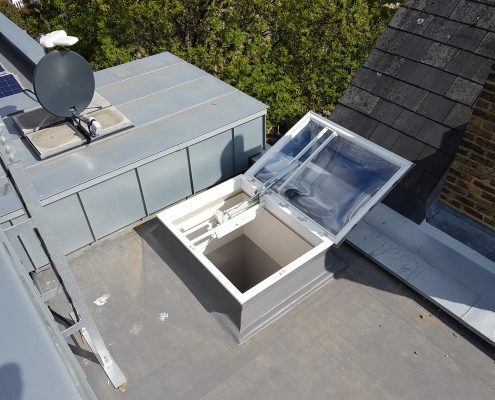 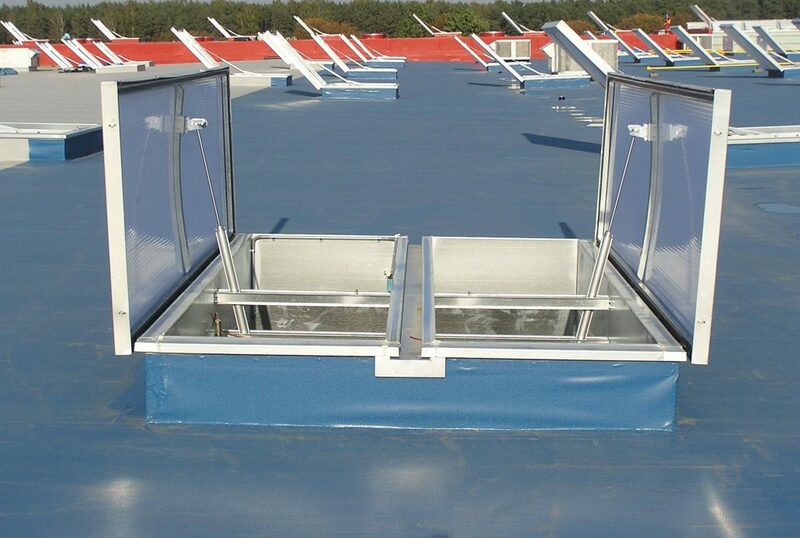 A specialist Louvre roof smoke vent for large roofs or those with high wind loads. 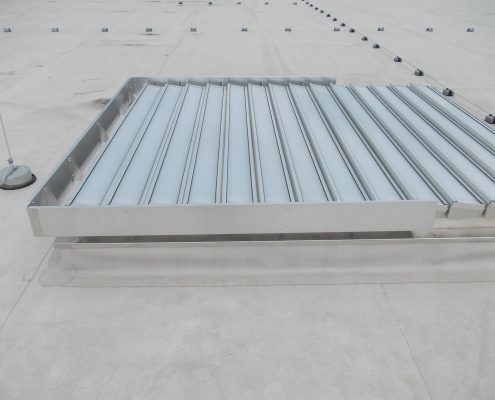 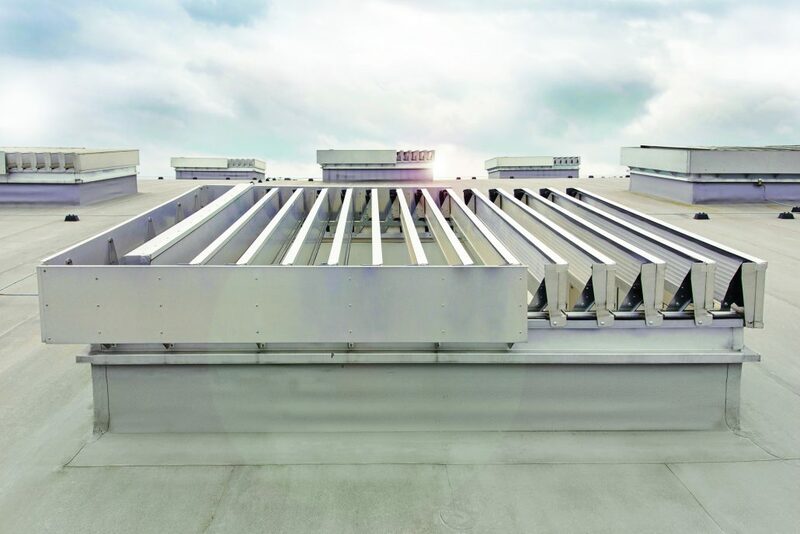 Particularly suited for head of smoke shaft ventilators, this solution is resistant to impact when open and closed and can be installed in most roof applications. 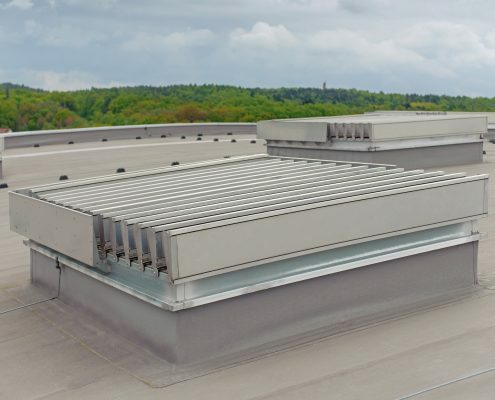 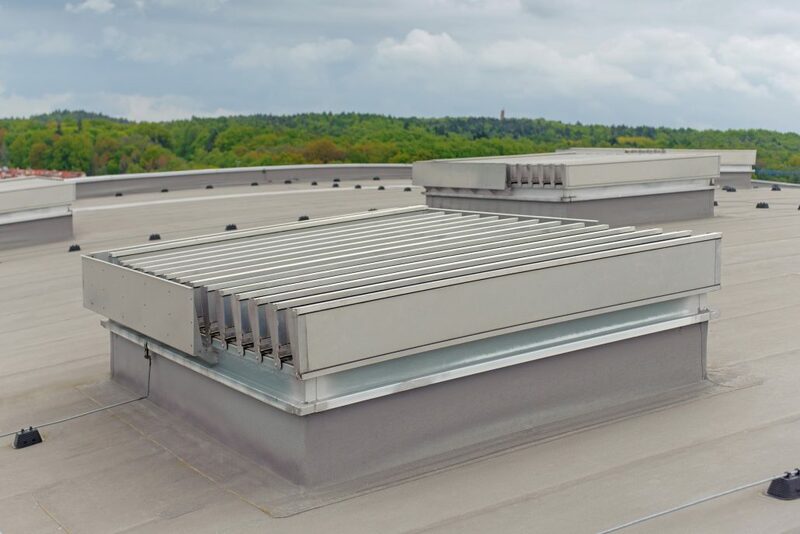 Thermadome roof louvres are particularly suited to roof applications or areas when the footprint of the smoke vent needs to remain as small as possible and there may be insufficient space for a single or double leaf type opening units. 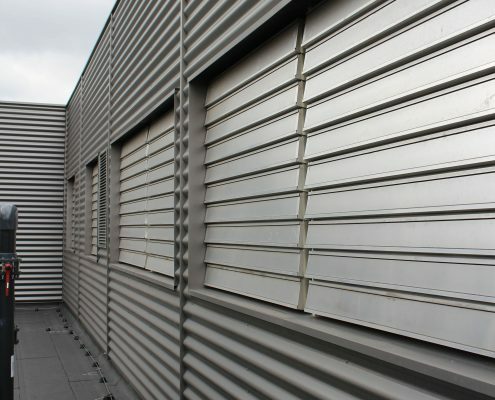 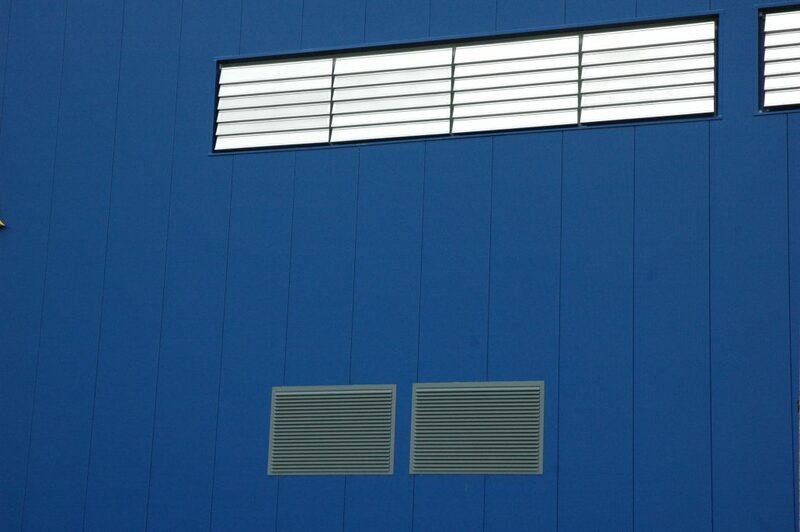 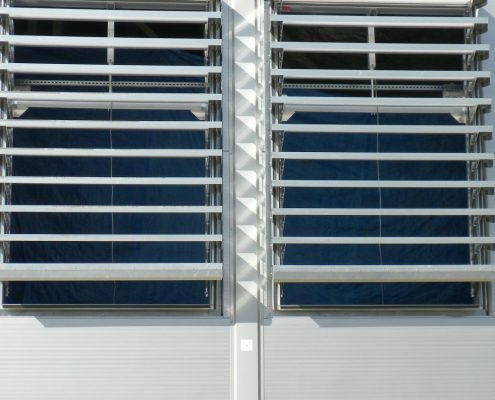 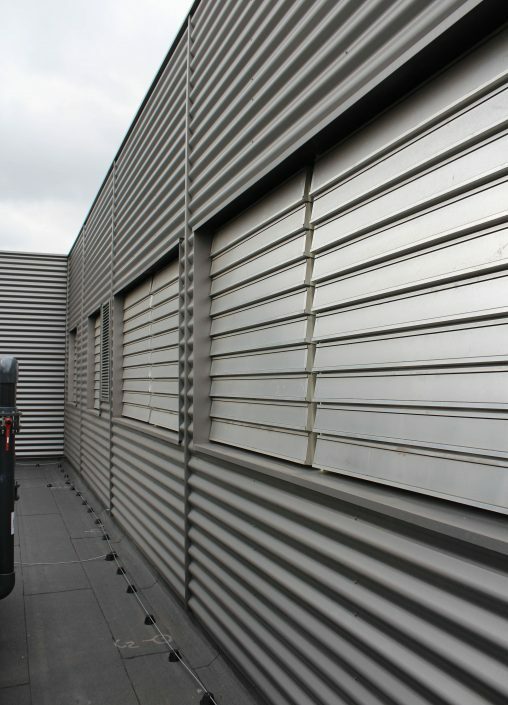 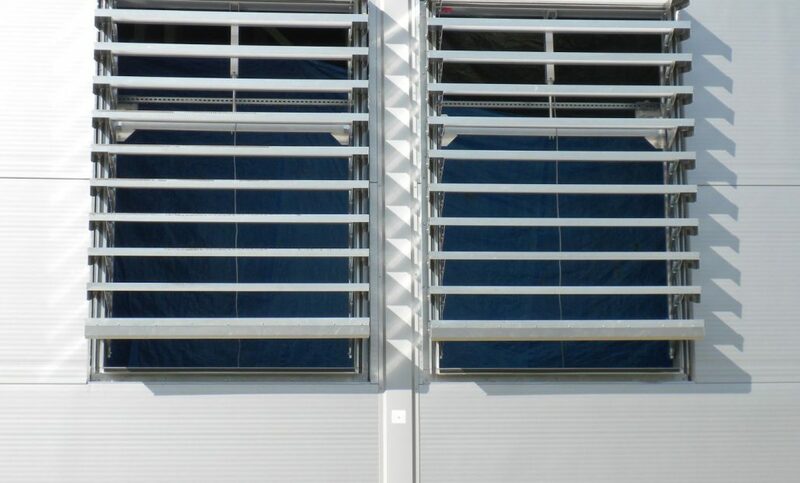 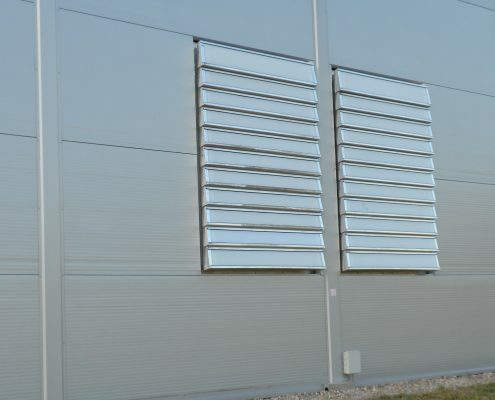 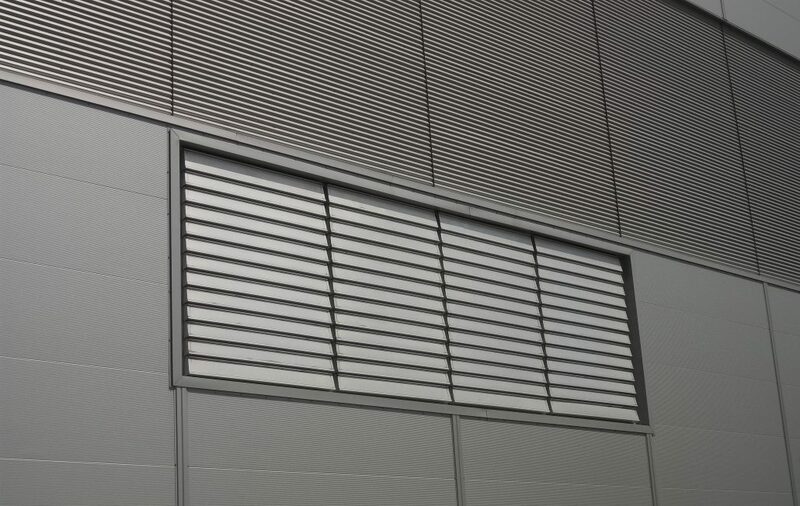 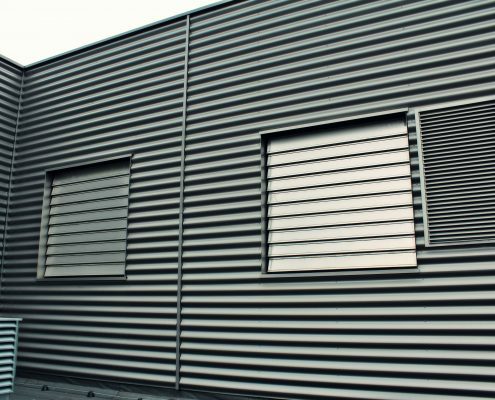 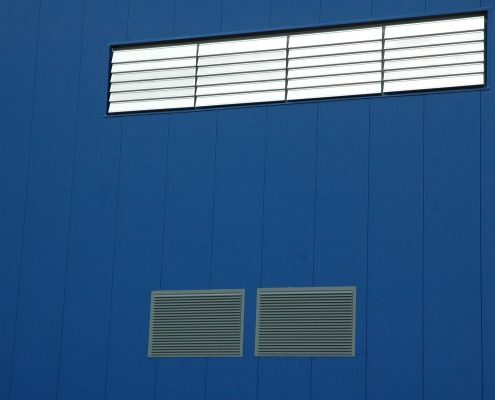 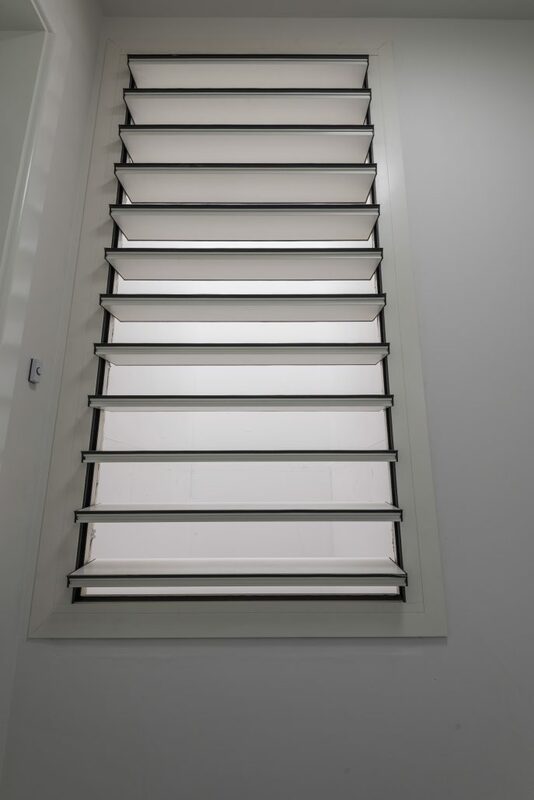 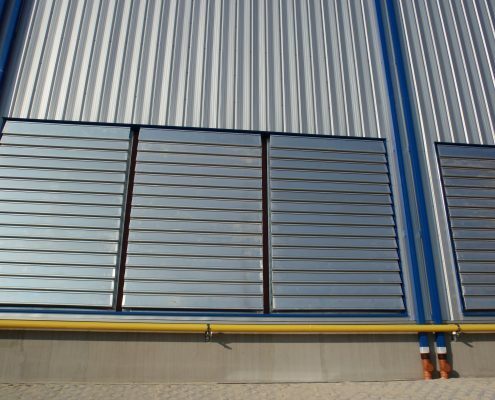 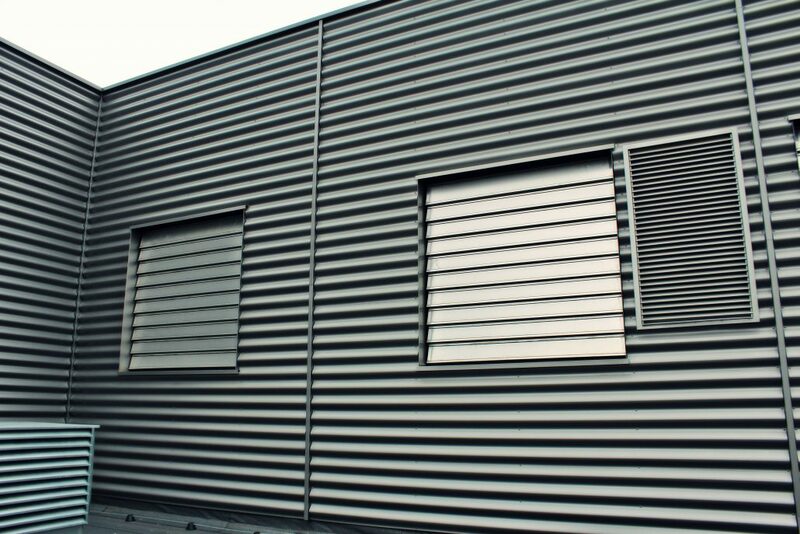 Solid blade smoke vent window louvres are commonly used in areas that do not require natural light and smoke ventilation requirements are needed. 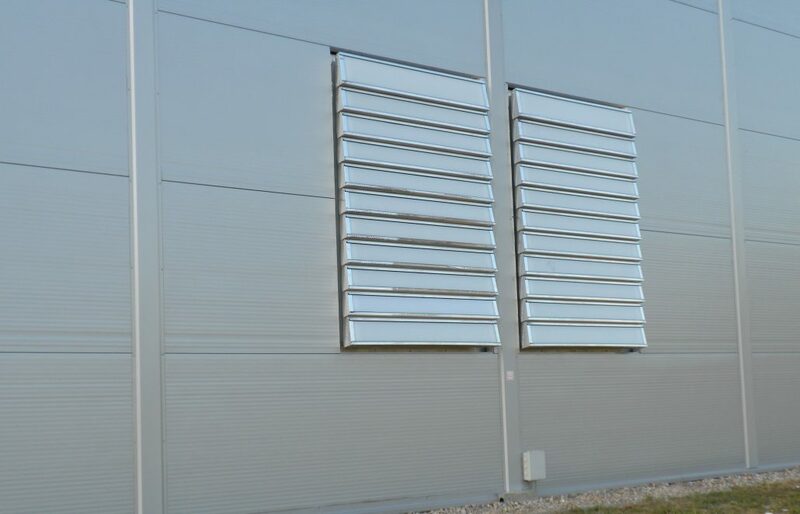 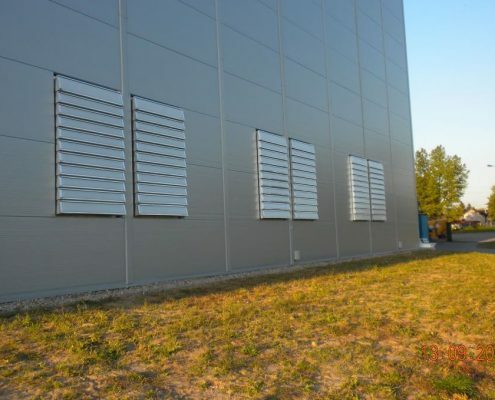 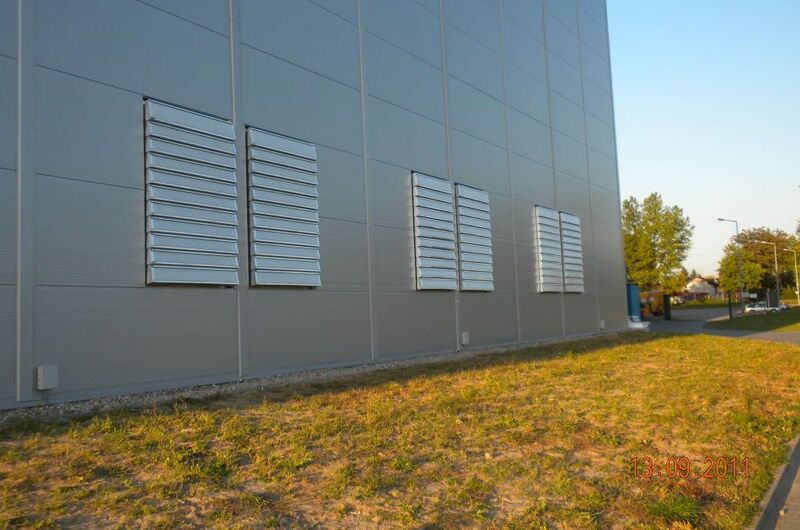 Solid blade louvre smoke vents can be used in high wind environments and are impact resistant in open and closed positions. 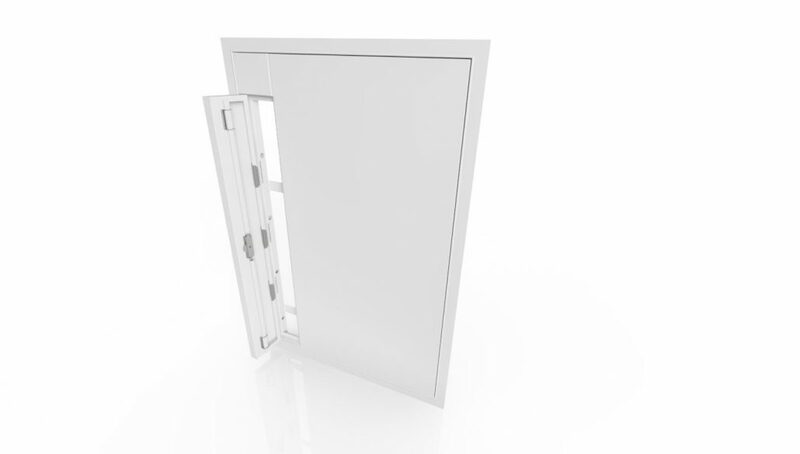 Available fully certified to BS EN12101-2 and electrically operated to open to 90 degrees in under 60 seconds. 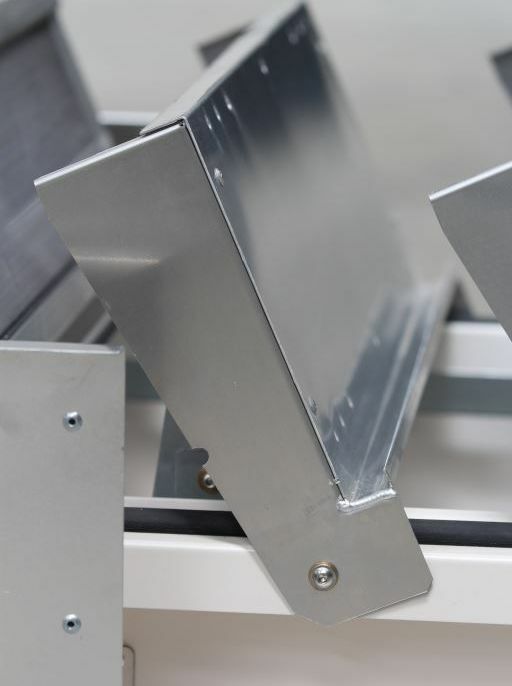 Available in standard and bespoke sizes the aluminium blades and framework can be delivered mill finish, anodised or polyester powder coated. 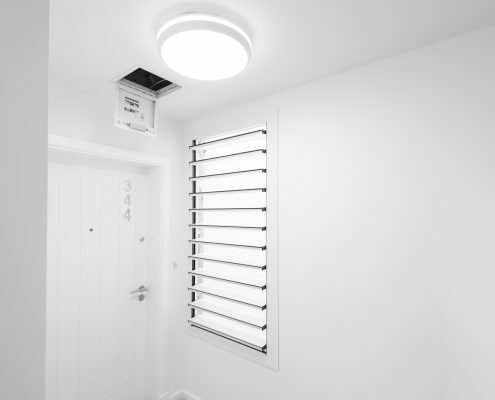 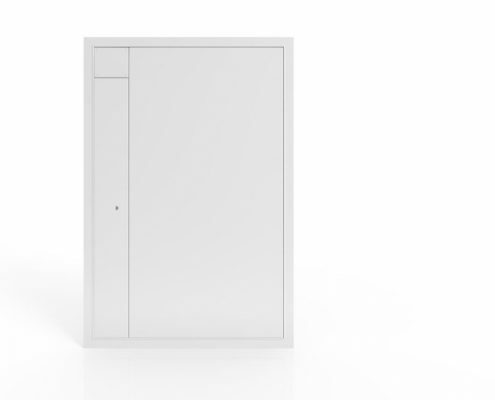 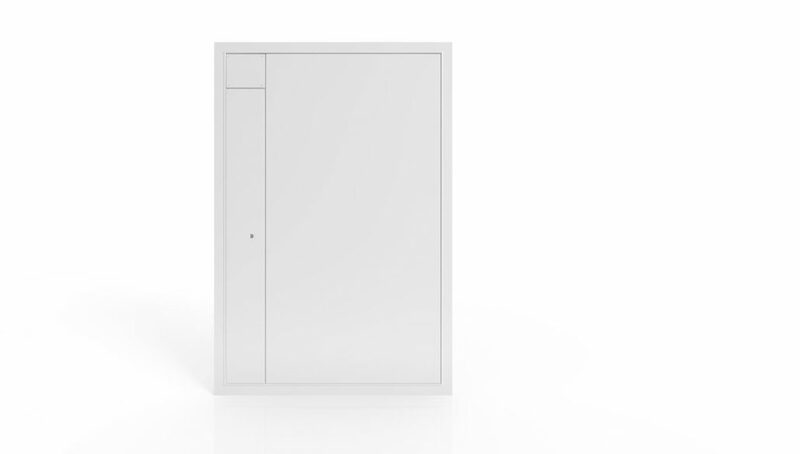 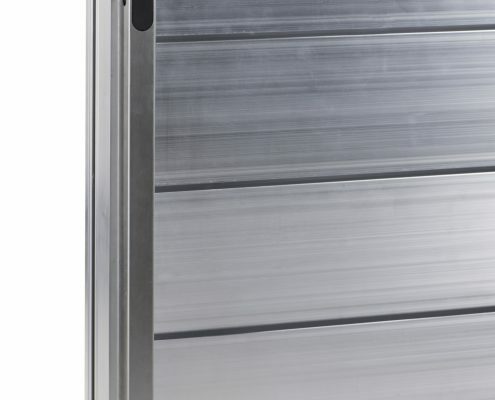 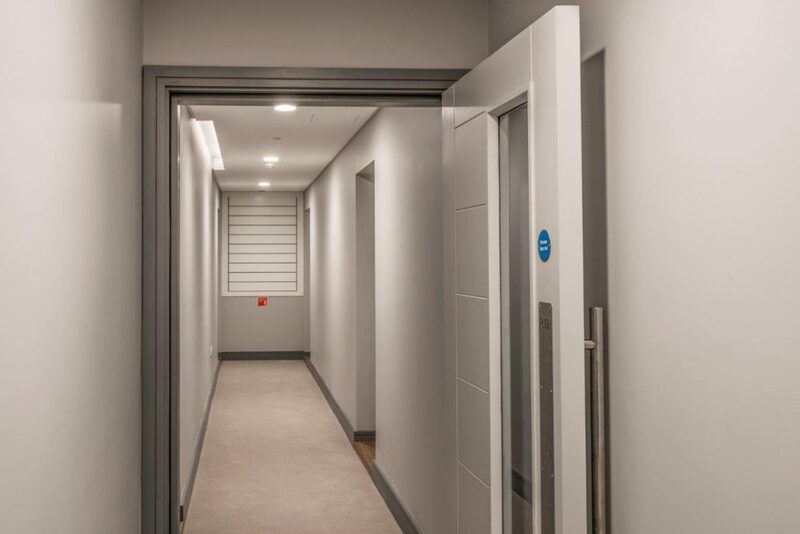 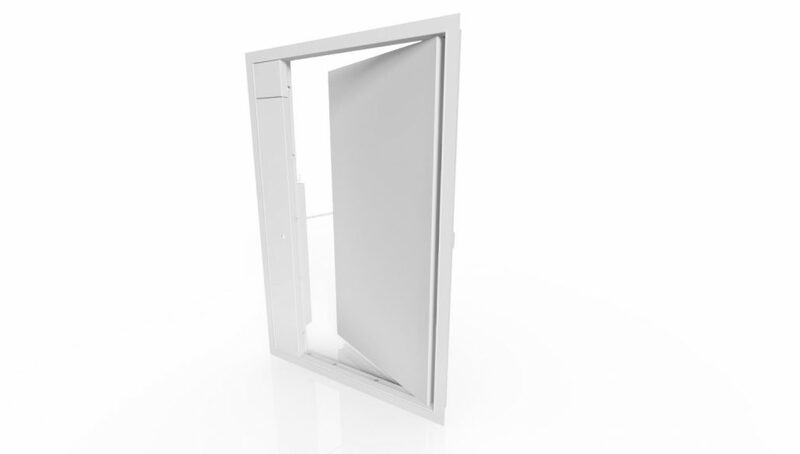 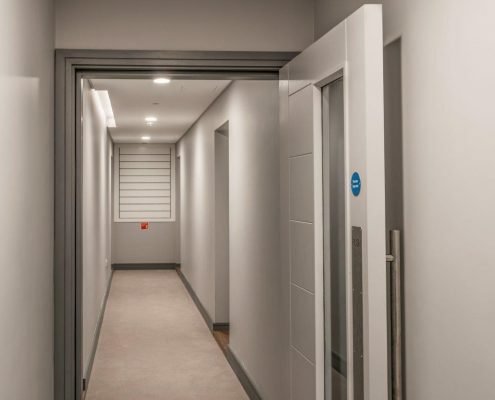 Options are also available to offer low-level fresh air and comfort ventilation when required, perfect for releasing heat and smoke from areas such as corridors, stairwells. 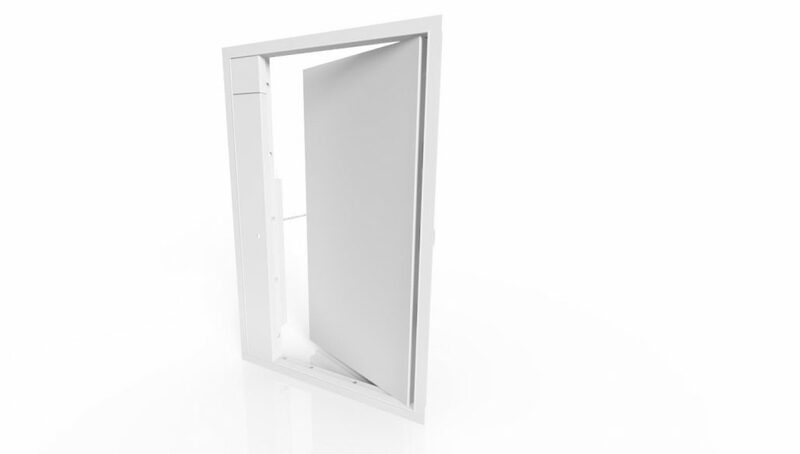 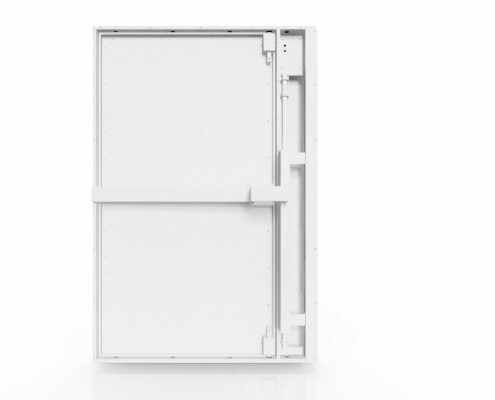 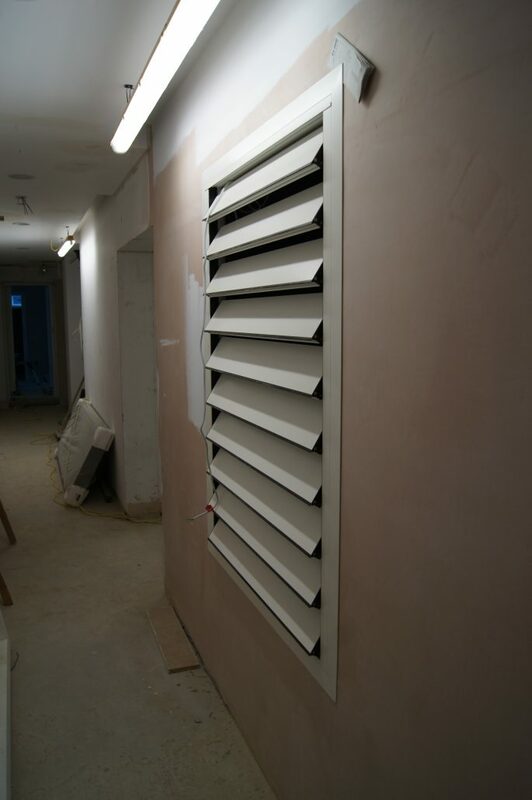 A discrete smoke shaft vent solution, for use where smoke shafts provide ventilation in lobbies and corridors. 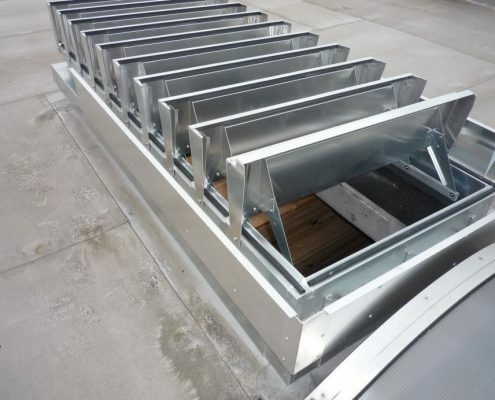 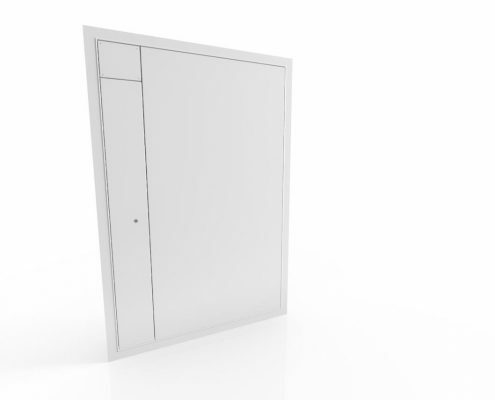 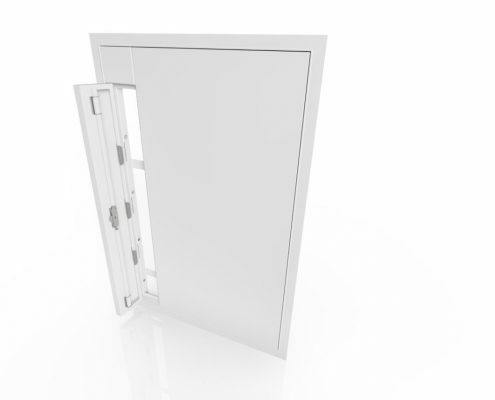 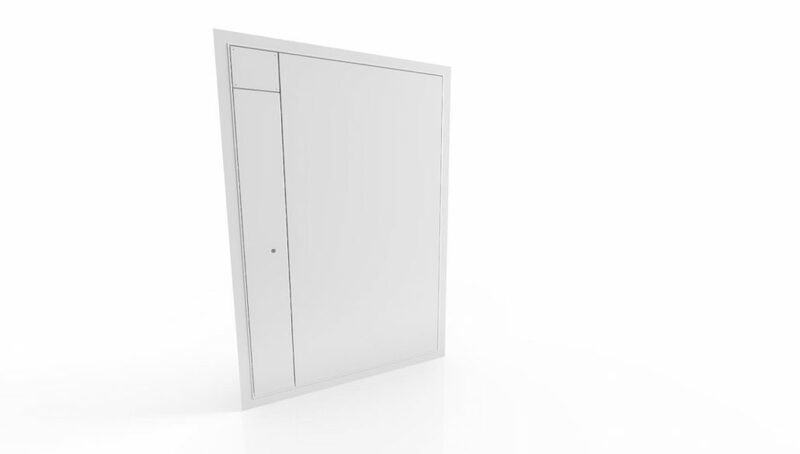 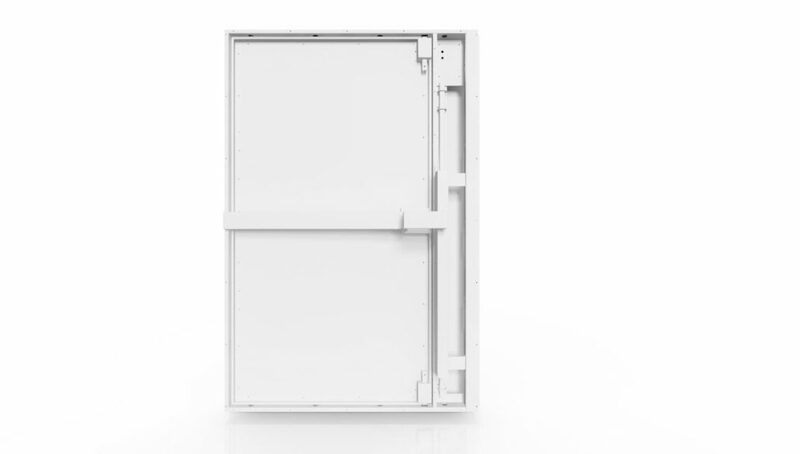 Opening to 90° in under 60 seconds, it provides 0.6m2 and 1.0m2 free vent areas for use with mechanical and natural smoke shaft installations. 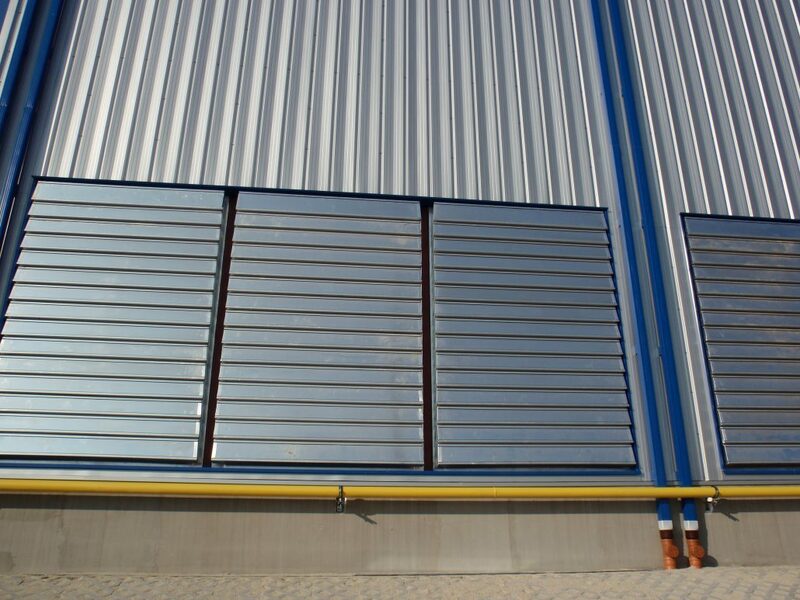 Suited for use as smoke shaft vents and internal inlet air vents, this solution is powered by 24V CDC actuators with a drive open, drive close operation. 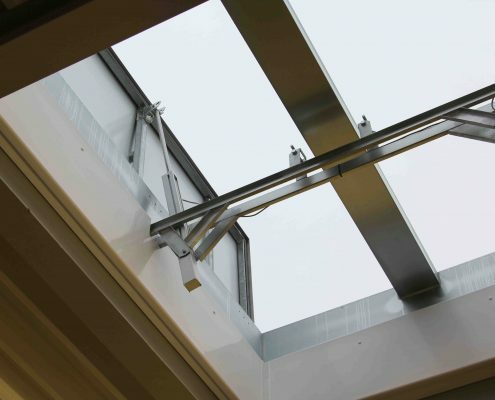 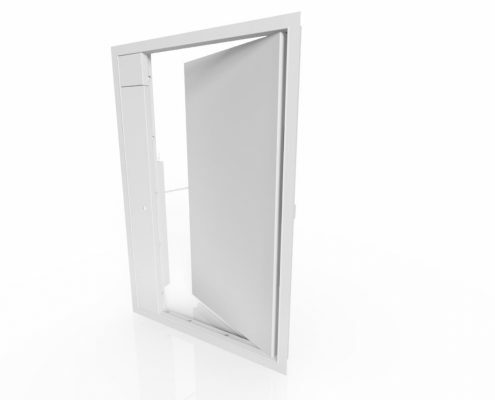 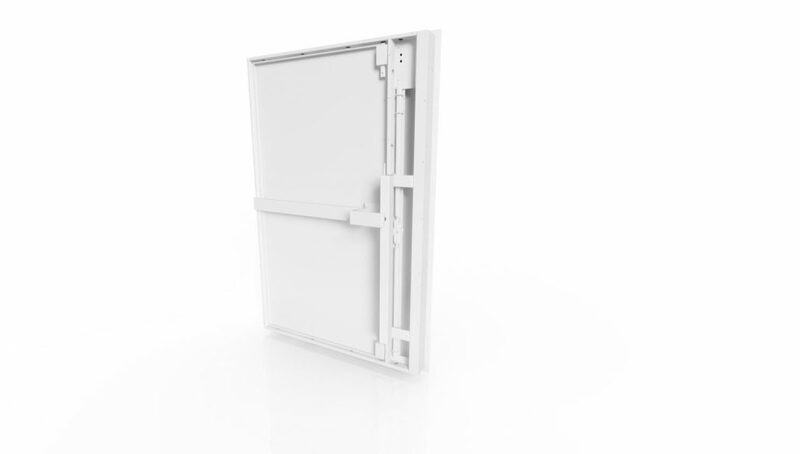 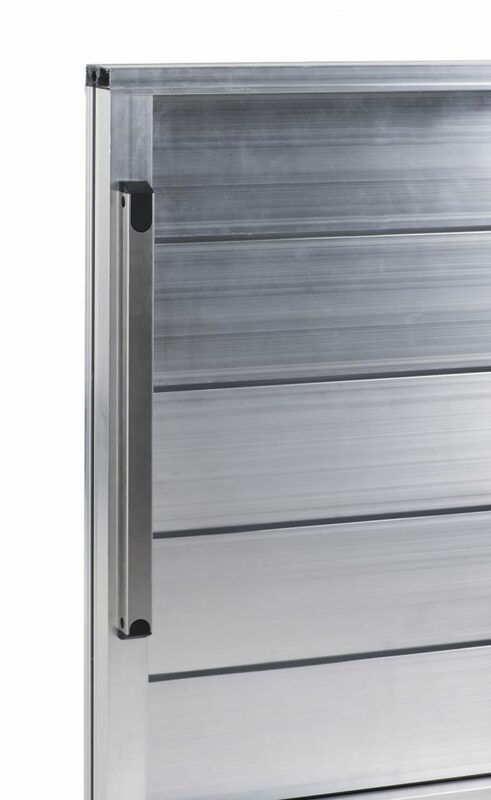 They can be mounted within an aperture or curtain wall system, or flush mounted into a finished opening in most industrial, commercial and residential properties. 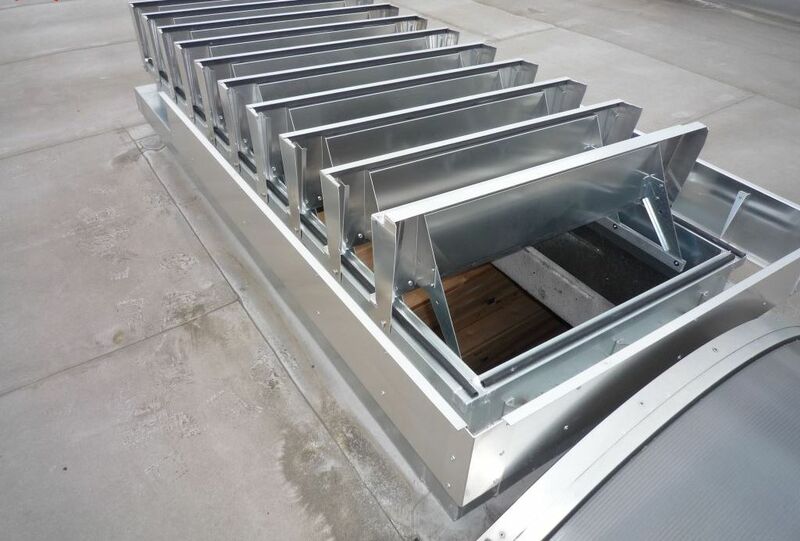 Suited for use as smoke shaft vents and internal inlet air vents, this solution is powered by 24V CDC actuators with a drive open, drive close operation. 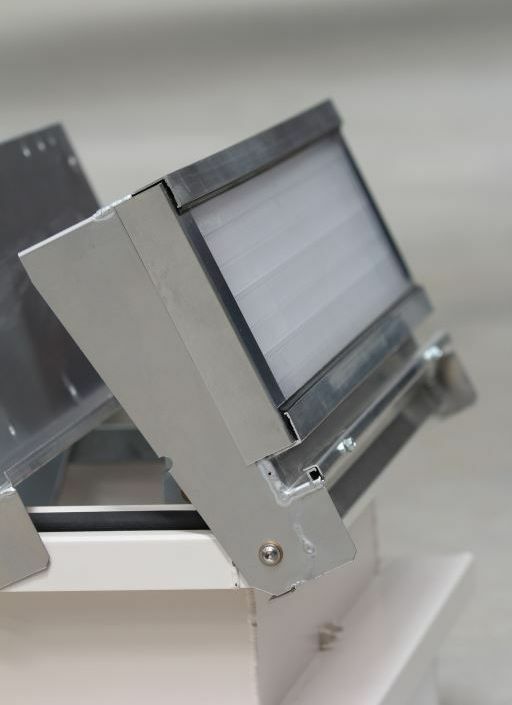 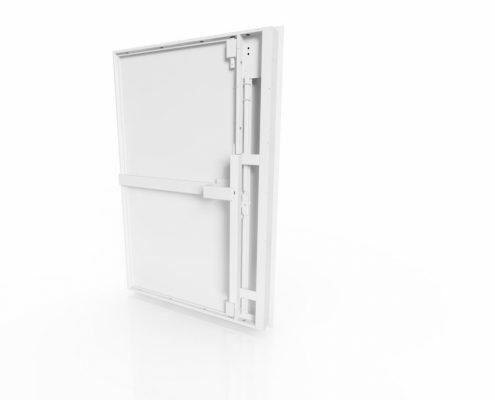 They can be mounted within an aperture or curtain wall system, or flush mounted into a finished opening in most industrial, commercial and residential properties. 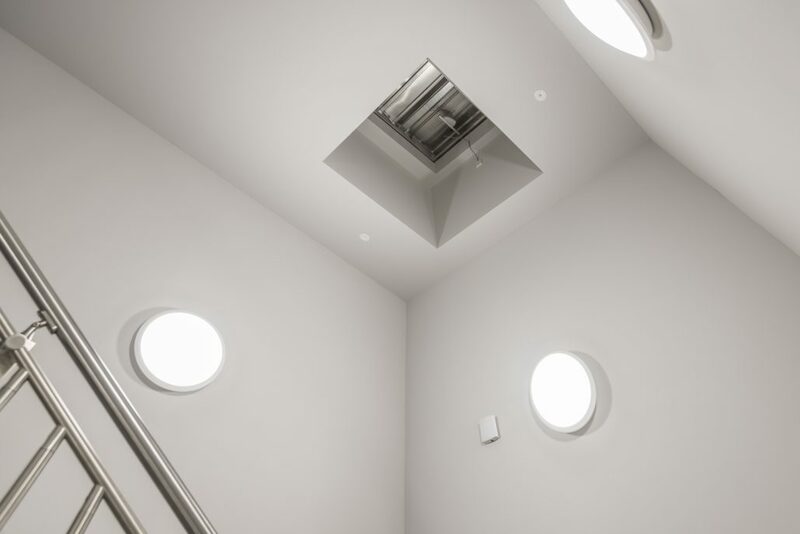 With many years’ experience in the smoke vent and dome light industry, we are the premier company to call on for your project. 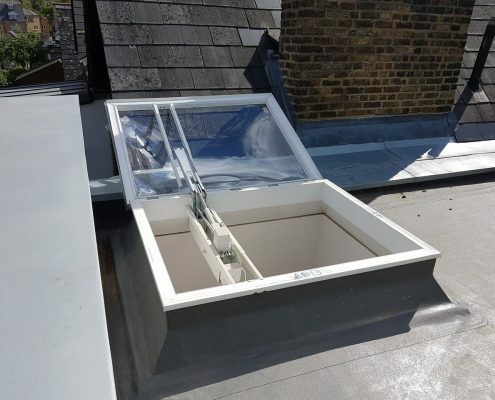 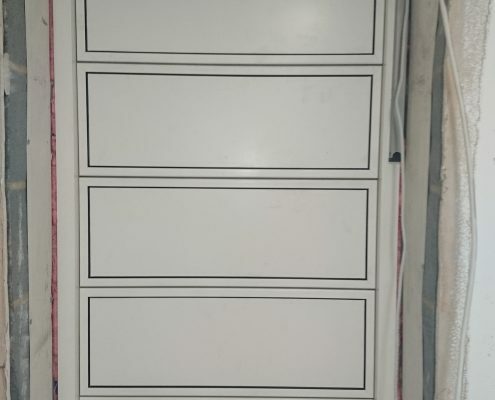 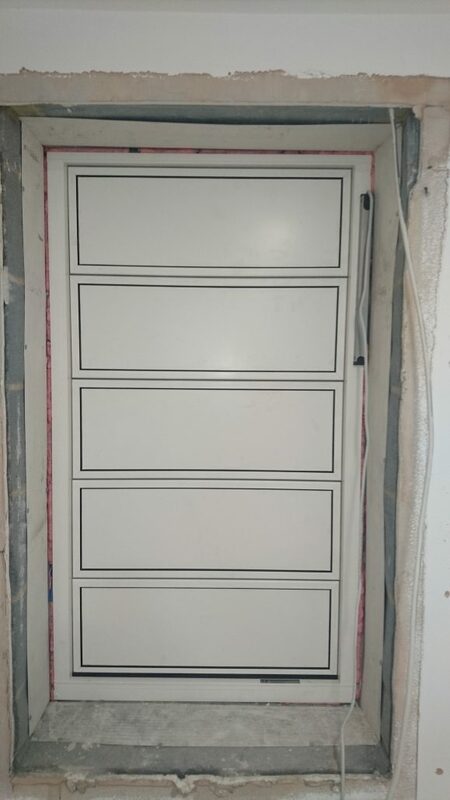 Suppling products to trade, contractors and builders, as well as individuals, we can provide the ideal solution for your needs. 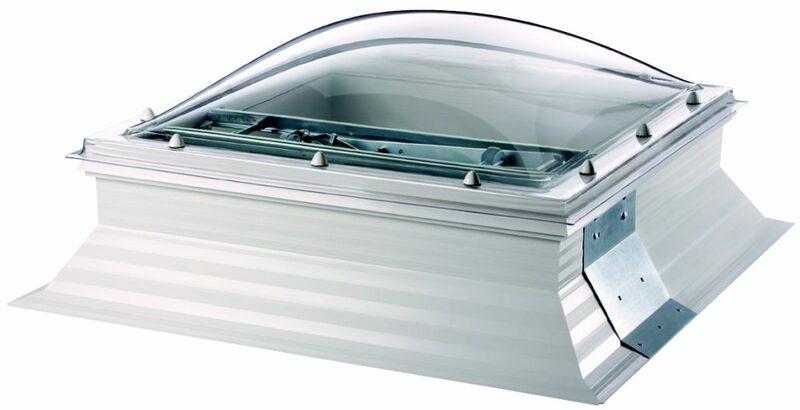 We have a great range of products from excellent brands such as Stardome, Astroglaze, Skylantern, Solarglaze and Thermodome. We stock our products right here in the UK, so we can supply any product to any location easily and quickly. 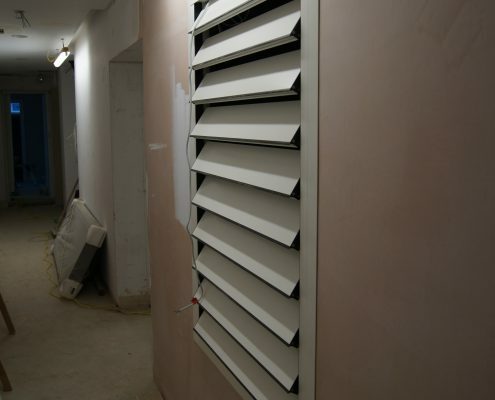 We offer a completely free quotation for your smoke ventilation system! 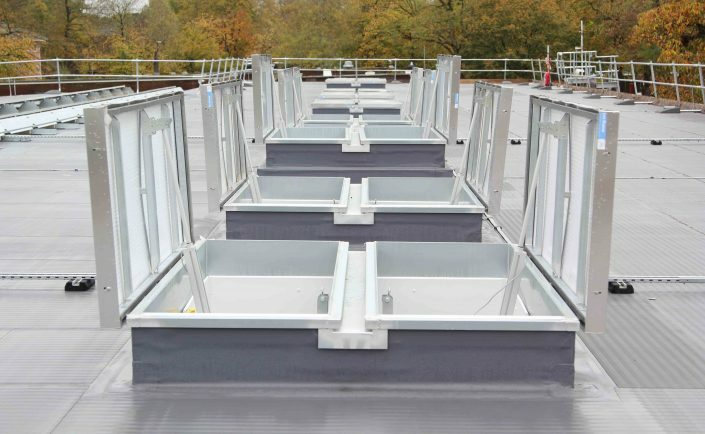 We have a team of experts on hand to help you select the right products for your needs and specification. 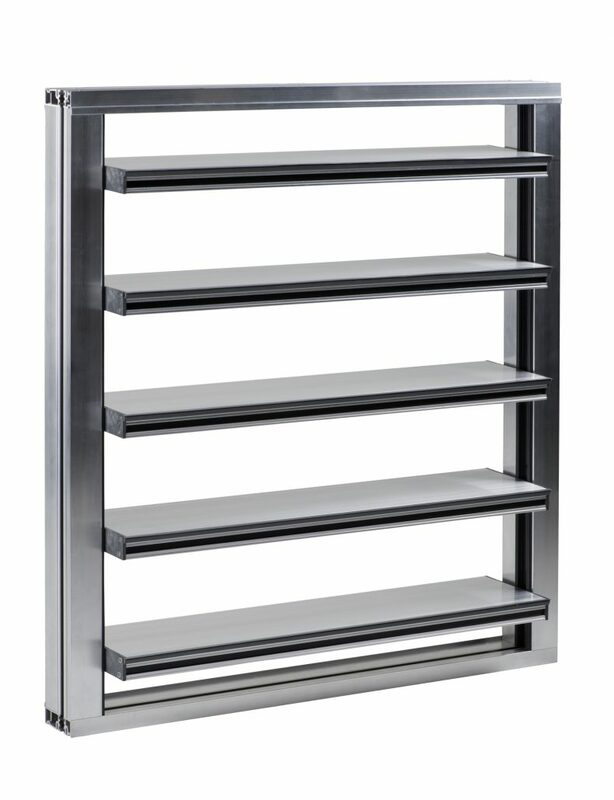 Placing an order is simple – just contact us to speak to our helpful team!